Although losing your hair is often seen as just a sign of ageing, it can also be linked to health problems such as diabetes. 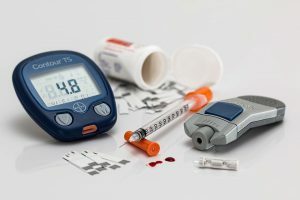 Almost a quarter of all cases of diabetes are undiagnosed, and therefore people who are experiencing hair loss may either be suffering from this underlying medical condition, or from insulin resistance or pre-diabetes, both of which are precursors to Type II Diabetes. Weight loss – when patients are diagnosed as having diabetes, a healthy diet together with more exercise will be recommended by the doctor. This may be result in weight loss which can then sometimes prompt hair loss. Should diabetes be the sole cause of hair loss, it may just be a temporary issue. 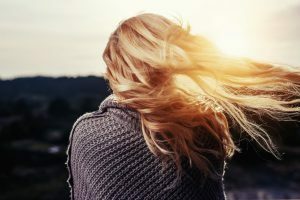 Once you begin treatment, your hormones will begin to function properly once more and the cycle of hair growth will return back to normal, albeit potentially with a slower growth rate. However, if you are still concerned or are looking for a way to address the problem in the meantime, there are several steps you should take. Discuss the problem with your doctor as they will be able to determine the cause and tell you whether it is solely because of diabetes or whether there are other factors at play. Eat a healthy diet and include foods which are known to boost hair growth. Talk to your doctor about the medication you are taking if you are concerned that the hair loss could be a side effect. You may be able to change your drugs or take a different dose. Ask your doctor whether you should take a biotin supplement as those who suffer from diabetes often have a low level of biotin. 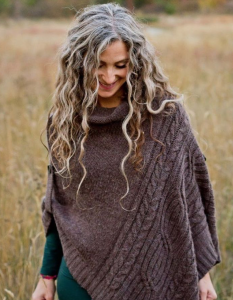 Exercise more as this will lower levels of blood sugar and improve oxygen delivery to the cells and the hair follicles themselves to prompt hair growth. If you are experiencing severe hair loss, your doctor may be able to prescribe a pharmaceutical treatment. 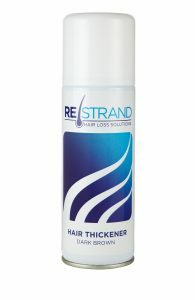 Use a hair loss concealer spray which will disguise your hair loss and give your hair a fuller and thicker appearance. If you are experiencing hair loss and have not yet been diagnosed with diabetes, you should visit your GP for testing. The more quickly you are diagnosed and treated the healthier you will be and the faster your hair loss will be rectified. Are you wondering how you can keep your hair looking its best? If you’re suffering from hair loss, there are several things that you can do to control and reduce the problem. Here are some top tips for keeping your hair in good shape. 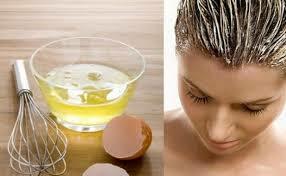 Although an egg wash sounds rather unpleasant, it leaves hair looking healthy and shiny and feeling great. Simply break a couple of eggs, whisk and then apply to the hair. Leave for a couple of minutes and then rinse off. Thanks to the protein in the egg, your hair will start to feel and look healthier and thicker. Antioxidants have been found to have many benefits for your body, and one of those is reducing the chances of hair loss since they can combat the free radicals which damage cells, including those in the hair follicles. There are many foods which are rich in antioxidants including oranges, honey, lemon and bananas. While you could eat them, you can also rub them onto the scalp. Massage is a great way to boost blood circulation, and since one cause of hair loss is reduced blood circulation to your scalp, massaging it is one way to treat the problem. Using a lukewarm coconut or almond oil will achieve the best result. While you include plenty of antioxidant rich foods in your diet, you also need to ensure that you are eating healthy on a daily basis. Eating balanced meals and limited processed foods is important, and including plenty of nuts and seeds will help to improve your hair’s health. When you have wet hair, avoid using a hairbrush and switch to using a wide-toothed comb instead. Brushing hair while it is wet can damage it, leading to more breakage and shedding. Although natural remedies aren’t a lot of use for curing hair loss, they can be useful in keeping hair healthy. Vinegar is an excellent treatment for dandruff while green tea applied to the scalp can help to reduce shedding. Taking vitamins A, B and E can help to improve your hair by increasing the production of sebum, boosting blood circulation and helping hair to stay a healthy colour. Living a healthy lifestyle will help to keep your hair healthy too. Stopping smoking, cutting the amount of alcohol you drink and reducing stress are all key to preventing excessive hair loss. Water is vital for the cells to stay healthy and this includes your hair follicle cells, so make sure you drink lots of water every day. If you are concerned about your thinning hair, you should seek advice from a medical professional. Meanwhile, if you are embarrassed about emerging bald patches, you could try an instant hair thickening spray to conceal thinning areas and to restore the appearance of a thick and full head of hair. Hair loss can happen for a huge range of reasons and can feel like the end of the world. Changing your diet can help prevent hair loss as well as actively encourage hair growth. A lack of iron in your diet may be the cause of hair loss! 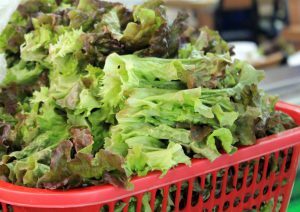 Luckily, leafy greens such as spinach are packed with the stuff. Spinach also contains a chemical called sebum which nourishes the scalp and helps keep hair healthy. Add spinach or kale to curries, salads and morning smoothies for a boost in iron. Nuts, such as walnuts and hazelnuts, contain lots of Vitamin E, which nourishes hair and encourages growth. By adding more nuts to your diet, your hair should improve in condition. These also help prevent hair fall as they strengthen existing hair. Make a trail mix with nuts, seeds and dried fruit for a healthy and hair-friendly snack. Dairy products contain lots of protein, which is needed to ensure healthy hair. Add in more milk, eggs, and cheese and your hair will quickly become stronger. The protein allows your hair to strengthen and makes it less likely to snap or fall. ‘Proteins are the building blocks of life’ – anyone else having a college flashback? Eggs are really easy to add to most breakfast choices, and keep you feeling full for a long time. Don’t worry, vegan friends – I’ve got your back! You can get your protein from meals containing tofu, Quorn or tempeh. Soya contains heaps of protein without the added calories of most dairy products. Again, this will help keep your hair healthy and less likely to fall out. Tofu curries and Quorn mince are great places to start if you fancy a dairy-free protein boost. Again, it’s all about protein when it comes to healthy hair. Chicken is full of protein and it’s pretty easy to add to your meal, too. The protein will help your hair become nice and strong, making it less likely to break or fall. Make yourself a whole plate of goodness and go for chicken, leafy greens, and boiled eggs. Easy! Another vegan and veggie-friendly option here. Pulses such as chickpeas, lentils, and quinoa are not only great for your general health, but will help your hair and scalp, too. I love these options as they help to pad out meals as well. If you’re worried about being hungry after a big bowl of kale and chickpeas, don’t, as pulses are really filling! A slightly more exciting option for you now… Fresh fruit is always going to be good for you, and this one is great for maintaining, or getting, a healthy head of hair. The Vitamin C that strawberries are full of will help nourish your hair. The better condition your hair is in, the less likely it is to break or fall. Delicious fresh, in smoothies or alongside dessert, strawberries boost your hair health. And taste delicious! … and lemons, limes, and any other citrusy fruit! While we’re on the note of Vitamin C, I couldn’t exactly miss these out. Not only do citrus fruits help to boost your immune system, they’re really helpful in keeping your hair and scalp healthy. This vitamin works to strengthen hair, making it less likely to break and fall. Again, great to eat on their own, oranges also taste delicious when freshly-squeezed. While a little pricier than oranges, I’d suggest incorporating these into your diet every so often for an extra, very tasty, boost. Enjoy guavas fresh, or blend into smoothies or juices. Salmon is packed full of Omega-3s, which are really important to our body and its ability to function. Sadly, our bodies don’t produce this naturally, so we have to make sure we’re getting plenty of it through our diet. Not only do they act as an anti-inflammatory (which can help with the root cause of some hair loss), they keep hair shiny and healthy. Salmon is a great source of Omega-3s and the good kind of fat, so treat yourself once in a while. Spices are great for our bodies in general, as they boost our metabolism and improve blood circulation. The more blood flow to our scalps, the better condition our hair will be in. A higher metabolism is really good for our general health and can help aid healthy weight-loss. Sprinkle cinnamon on your oatmeal or add some extra chilli to your curry and enjoy the benefits. It can sometimes go over our heads that the food we eat doesn’t just affect our bodies but our hair, too. We tend to get taught about food in terms of calories and fat content, and it’s nearly always in relation to our weight. What we eat actually has a huge impact on our skin, hair, and nails, too. Luckily, there are lots of foods we can eat that are really, really good for our body – every single inch of it! Hi, I’m Lucy and I’m currently traveling around South-East Asia with my trusty yoga mat. I love finding healthy, eco-friendly ways to improve my well-being, even more of a challenge whilst on the road. When I’m not on the move, I’m writing for SleepHealthEnergy.com (https://www.sleephealthenergy.com/), your one-stop shop for everything related to getting a great night’s sleep, enjoying optimum health and having buckets of energy. Follow along on Twitter (https://twitter.com/sleephealthnrg).